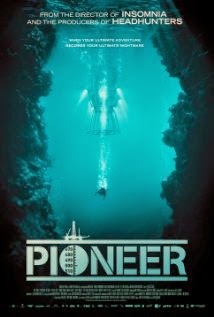 Last night I watched the Norwegian film Pioneer, a thriller partly based on real events concerning deep sea diving near the oil rigs in the North Sea back in the 70s. I loved it for three reasons: I love deep diving, I used to work with oil rigs, and I used to live in Norway (still miss it). What's it got to do with science fiction? For me, quite a lot. The film pretty much opens with a scene where a diver leaves the diving bell in pitch darkness of deep water (300 metros of it) lit in stark black and white by the lights on his torch, and free falls slowly to the silty bottom of the sea. When I do deep diving, this is what it feels like, and it is probably the closest I'll ever get to what an astronaut might feel being weightless, drifting towards the surface of a new planet where no one has set foot before. And when the divers walk, it reminds me of when I was a kid, watching the first astronauts walk across the surface of the moon. In the early 80s I worked on the safety of offshore oil rigs in the North Sea, with companies ranging from Shell to Statoil and Norsk Hydro (and Statpipe, the company mentioned in the film), and ventured offshore a few times, which was sometimes hair-raising, like when I was hoisted from a boat up thirty metres onto a floating rig via a crane, without any attachments; the advice was 'Don't let go'.. right, I got that already. kills you, or if you're not in a survival suit you'll be dead in a few minutes. 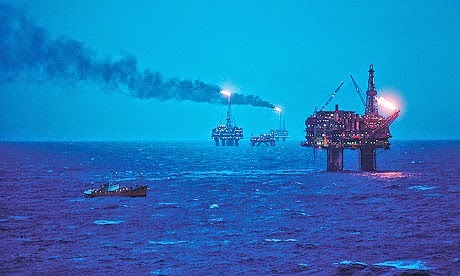 As part of my job I studied and worked to prevent recurrences of accidents such as when a rig overturned (Alexander Kjelland, Norway 1977) or blew up (Piper Alpha, UK sector, 1988), and occasionally got to interview people who had been in offshore accidents or incidents. I remember one man telling me how he ran along the deck of a burning rig, chased by rapidly expanding fire, and dived into a lifeboat, whereupon they slammed the hatch shut (he was the last) and a blast wave of fire slammed into the boat, rocking it before they descended to the surface of a rough sea. Reminds me of scenes from Alien, or pretty much any scifi film where they are evacuating a failing ship. He told me that when there's an evacuation offshore and you're in the thick of it, that's when you discover the color of adrenaline is brown. Something my character Zack should have said. 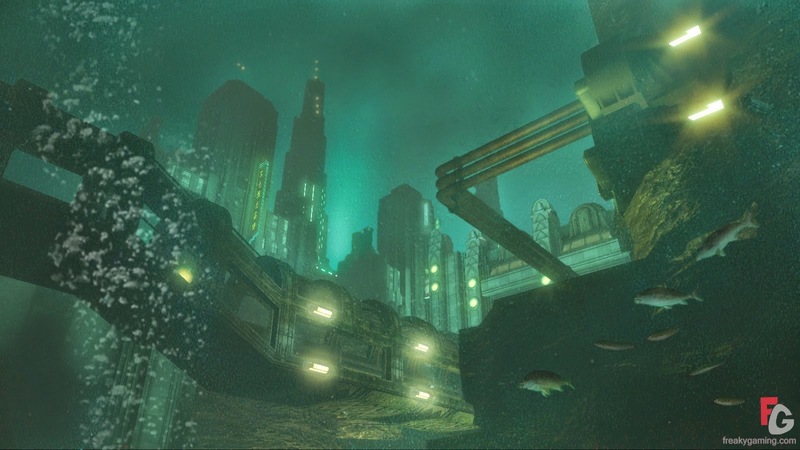 What people don't often see is how developed things can be underwater, on the sea or ocean floor, so much so that it starts to look like an underground town or city with small structures and even deep sea habitats strewn along the barren sea floor. Aside from the bubbles, it looks like a scifi movie and another planet, yet it's here and now, beneath tons of pressure. And deep sea divers live down there for weeks at a time, working and then depressurizing so they don't get decompression sickness (DCS) or the bends, so-called because nitrogen bubbles flush out of the blood stream and get caught in the joints (e.g. elbows, finger-joints), and one of the ways to relieve the pain is to 'bend' the joints. I once knew an ex commercial diver who could no longer make a fist, because his joints were so seized up from recurrent minor DCS. I've had my own scary moments underwater, including getting lost inside a wreck at fifty metres, having to do in-water recompression (don't ask), getting stuck under a layer of hammerheads at 6am in Borneo at serious depth,and being involved in five rescues as an instructor, one at sixty-four metres. So I really enjoyed the spirit of diving in the movie, and the main guy's obsession with depth. These days my diving is purely recreational, the shot here taken recently from the Maldives where a dozen of us were looking for hammerheads - we found plenty of other sharks but no hammerheads, they like depth, too. Diving continues to inspire my science fiction writing because it's an alien world (more harmonious than you might think), and as a diver hearing the sound of your breathing all the time (hopefully), you never for one moment forget you are in a dangerous habitat, one you're not actually suited to. As a diver, you're the alien. It's no coincidence, therefore, that in a couple of my books there are actual diving sequences, one set in the Mariana Trench, the deepest part of the ocean in the world, another in an underground ocean on the planet Esperia. And who knows, the first life we encounter in our solar system may well be in the icy waters of Io around Jupiter. Then we'd have astronauts who are divers. Aside from the amount of training and technology, I'm not sure there's so much difference.